Come stay on West Panama City Beach's Newest and BEST Resort! The long awaited Tidewater Beach Resort is now open. 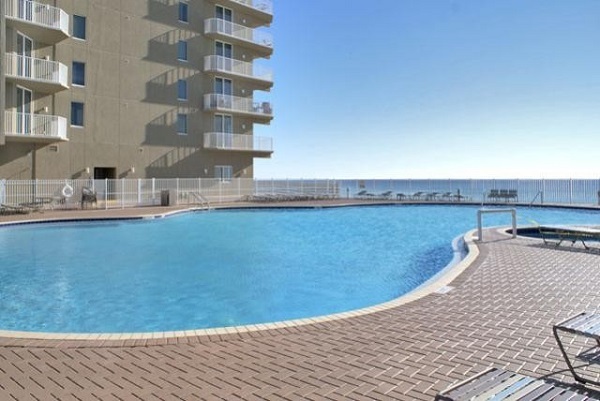 This large 5th Floor comes with BEACH CHAIRS and has 2Bedroom/3Bath w/Bunks condo sleeps 8 and both bedrooms have KING size beds priced about six hundred dollars less then having to go to a 3 bedroom unit to sleep 8. This condo is professionally decorated and SUPER clean. Come and be one of the first guests to stay in this great condo. The condo features a spacious balcony with AMAZING views of the crystal clear turquoise water and the sugary soft white sands. Beautiful Sunsets. 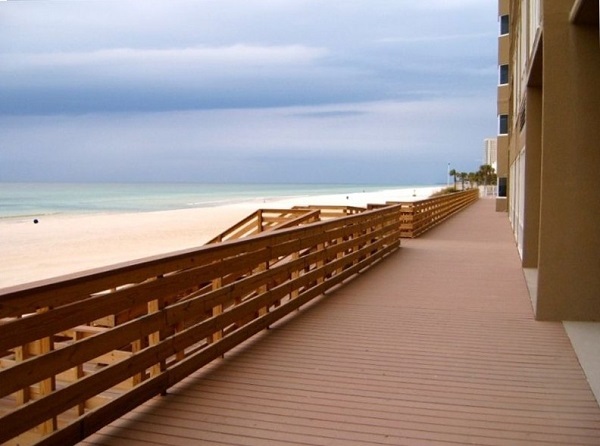 Tidewater Beach Resort is located on 636 feet of beautiful white sand gulf beaches. A first class resort condominium featuring an impressive array of amenities. Two huge pools with Tiki bars, a 4300 sq ft fitness center with 'health bar' with Roman Spa, sauna and steam room, a 5000 sq ft conference center, movie/media center, indoor pool, seven high speed elevators, game room, convenience store, card room and much, much more! Tidewater is conveniently located within half mile to the new 900,000 square foot PIER PARK Shopping Village. Pier Park features fantastic restaurants and great shopping. Restaurants include Jimmy Buffett's Margaritaville, Panera Bread, Back Porch Seafood House, Buffalo's and many others. Stores include Target, Starbucks, Dillard's, Old Navy, JC Penney, and many more. Also featured is a 16 screen Cinema complex. Kids play area with Ferris wheel. Fun for everyone of all ages to enjoy. Everything was good except for a few things. 1. There was no bed skirt on the bed. don't go away after you flush it. lift it up so you can locked it. 5. The second bedroom door won't locked. These things need to be taken care of! We had a great stay for memorial day week The weather wasnt good due to teopicalbstorm alberto but having a spacious condo big enough for the whole family made it bearable. Nice location and setup, very clean .will stay again in the future. Only complaint I have is the elevators are pretty slow. It other than that , great stay!! We were a group of 6 ladies ranged from 31-79 years old whom stayed in the condo. The condo had great views, nice balcony,clean, easy to navigate around tidewater, the washer/dryer/ dishwasher is user friendly, nice beds/clean bedding and couches, and free beach chairs for the week was a plus! We had a great relaxing time over spring break. Tidewater is a great place to vacation. Condo was in relatively good condition, kitchen was well supplied, view on 5th floor was tremendous! Four Star office staff was very accommodating and their response to any minor issue was immediate. We'll be back again for our fifth time with Four Star next year! Upon arrival there were 3 pieces of trash on floor, one being an opened Condom wrapper. The unit is in need of a deeper cleaning, corners of bathroom are matted dust etc. Needs painting BAD. Beds were not completely made, no dust ruffles covering box springs. And the Drier was so loud that we couldn't run it unless we were out of unit. I have stayed in dozens of VRBO's and this one was the worst. The view, was perfect and beautiful. The condo itself (unit 511) was perfect as far as room and amenities, very disappointed in living room furniture. The couch had stains, the chair had a huge rip in it, and they both felt damp, as well as the carpet. Overall the condo seemed clean as far as counters, tables, bathrooms and windows, but it had a horrible smell, the walls and base boards definitely need to be wiped down. I would recommend, if there were changes as far as my complaints. We have a awesome time all together and enjoyed every moment at the condo. Elevators did take a little longer but what do you expect when there is 30 floors. Tidewater 511 was a great room. The room is laid out differently than in the pictures, but it looks better than the pictures. The view from the balcony is outstanding. Plus being on the 5th floor saves you from the elevators at Tidewater. The couch had a stain in it, but it alright. We really enjoyed the smaller class table as it is perfect for cards. Thank you! 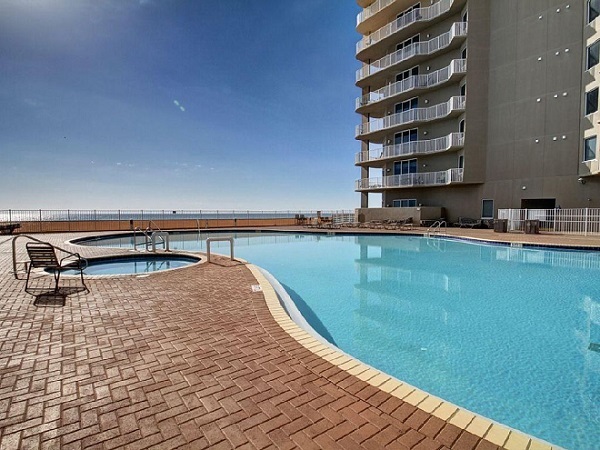 My family and I have stayed at Tidewater condos a few times. We love the location. We would highly recommend Tidewater to family and friends. Unit 511 was very clean and met all of our expectations. We took advantage of the early check-in and late check-out! We will be back soon! We had a very enjoyable stay at Tidewater 511. We stayed almost six weeks and was a comfortable home away from home. Great place, great amenities. Even though one of the pools was closed, there was plenty of room at the other pool. Would highly recommend this condo and building to anyone. The trip was fine - really enjoyed the beach!